Dave Denniston Swimming Breaststroke Again …Go for it Dave!!!! 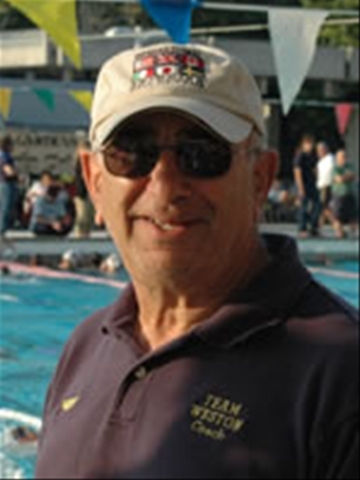 Dave Denniston is well-known in the swimming world. An NCAA champion and a 2004 Olympic hopeful who just missed making the team, he’s making waves again as he prepares for the 2008 Paralympic Games in Beijing. On Feb. 6, 2005, Denniston was sledding with a friend in a remote region of the Snowy Range in Wyoming. After taking several runs, he decided to go down the hill head first. He lost control of the sled and hit a tree. Denniston remained conscious the entire time, but knew something was wrong because he couldn’t feel his legs. Denniston’s friend, who was sledding with him, called 911. Because of the remote region they were in, it took over two hours before help arrived. He was taken to Laramie Hospital, then to the spinal cord specialists at Poudre Valley Hospital in Fort Collins, Colo., where he learned that he was completely paralyzed from the T-10 vertebrae down. Instead of dwelling on the past, Denniston is focused on his future. He makes the two-hour commute from Longmont to Colorado Springs, Colo. to train with the U.S. Paralympics Resident Swimming Team once a week. He also works out every day at the Longmont Recreation Center on his own. Denniston says his goal is not to win the medal he had hoped for in 2004, but rather to bring awareness to Paralympic athletes who receive so little attention for all of their hard work and dedication. Denniston started swimming at the age of eight, when his friends next door asked him to serve as the fourth swimmer in their relay competition. Denniston figured it would be fun and his love for swimming took off from there. Before he knew it, he was beating all of his competition, including his friends from next door. Denniston went on to compete at Arapahoe High School, where he was recruited by the Auburn University swimming program. While at Auburn, Denniston became an NCAA champion in the 200m breaststroke in 1999, the same year the Auburn Tigers won the NCAA Championship. Denniston graduated from Auburn in 2002 with a degree in Communications and a minor in English. After graduating, Denniston moved to Irvine, Calif., where he swam under coach Dave Salo and qualified for the World Championship Team in 2003 (Barcelona, Spain) in the 200m Breaststroke. After Worlds, Denniston focused on qualifying for the 2004 U.S. Olympic Team in 2004. He just missed the mark, finishing fourth in the 100m breaststroke and fifth in the 200m breaststroke at the Olympic Trials. When he isn’t swimming, Denniston spends his time delivering motivational speeches to middle schools, high schools, universities and businesses. A humorist at heart, Dave mostly enjoys making other people laugh. If you want to learn more about Dave, visit his website: http://www.davedenniston.com/.